In early February, my husband and I took a few days off to visit a state park. We were staying in one of the cabins. One of the mornings a deer came by our cabin. I was able to get some photos of the deer from within the cabin. 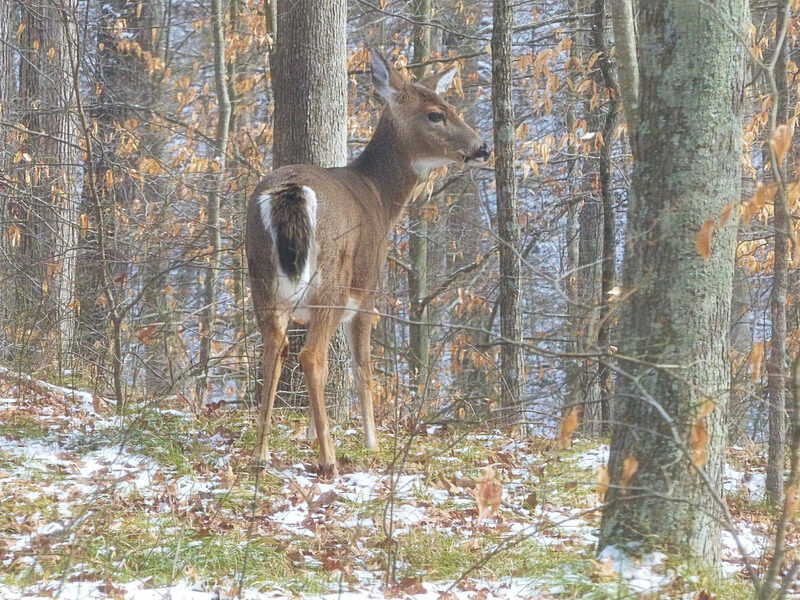 I was concerned about scaring the deer if I went outside, and it was 5 degrees, so I stayed in the warm cabin and used the zoom on my camera to capture this memory of our short time in the park.